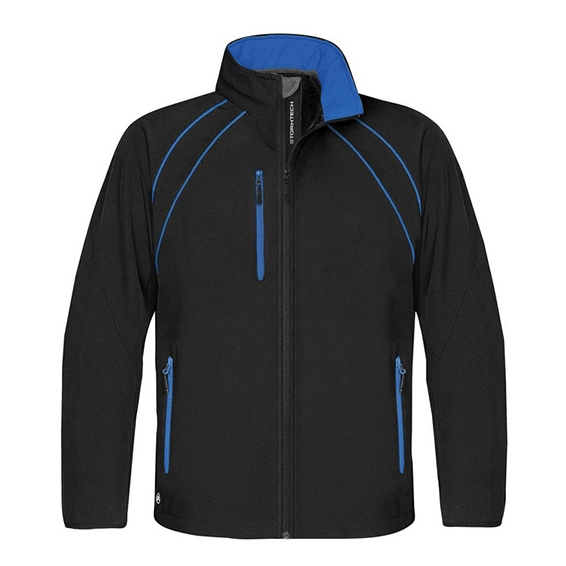 Softshell, fleece, hooded, down and other jacket options to choose from. Developed to optimize performance and comfort, this technical soft shell is made with highly waterproof and breathable 10K/10K fabric so it can take on active sports and perform equally as well in town. 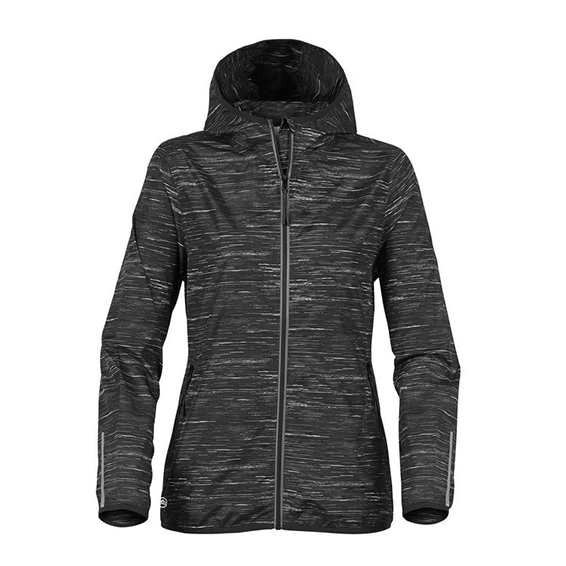 Elongated front zippered pockets double as air vents for enhanced breathability when open. 10,000MM fabric water protection rating, 10,000G/M2 fabric breathability rating, interior storm flap, chin guard, reverse coil locking zippers, binding at cuffs, open hem with locking drawcord. For lightweight, allover warmth and temperature regulation, this cover-up excels with Therma-FIT fabric. The chevron design across the chest provides interesting two-tone color detail. Distinctive contrast color at the neck and zipper, plus a brushed interior makes this versatile layering piece a golfing essential. Details include a reverse coil zip-through collar, open cuffs and an open hem. The contrast Swoosh design trademark is embroidered on the upper left sleeve. Made of 10.2 Oz. 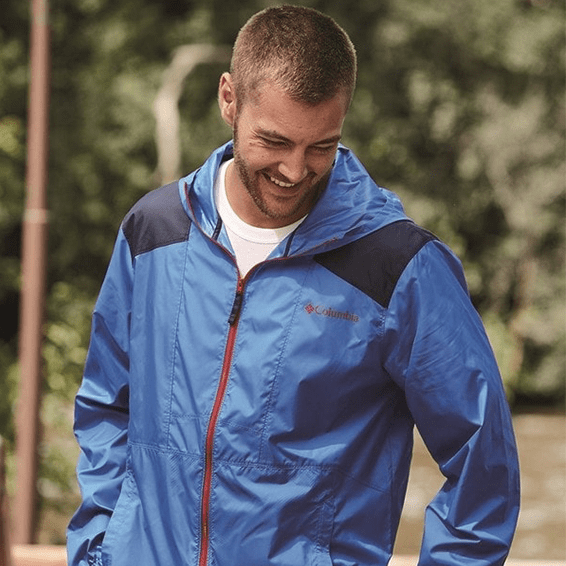 Our versatile, fully seam-sealed jacket offers outstanding waterproof protection to keep you dry whether you’re on the job or on the trail. Folds into a convenient carry pouch for easy, compact storage. 100% polyester. 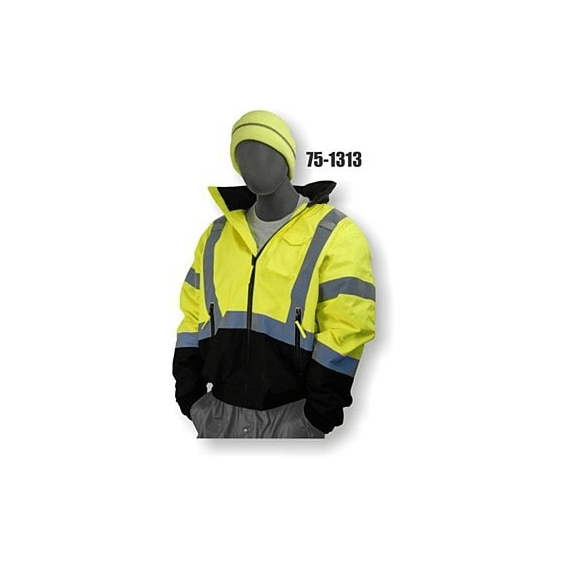 100% polyester mesh-lined body and hood. 5000MM fabric waterproof rating 1000G/M2 fabric breathability rating. Zip-off hood. Contrast waterproof zippers. Adjustable self-fabric tab cuffs with hook and loop closures Front zippered pockets. Port Pocket™ for easy embroidery acc. 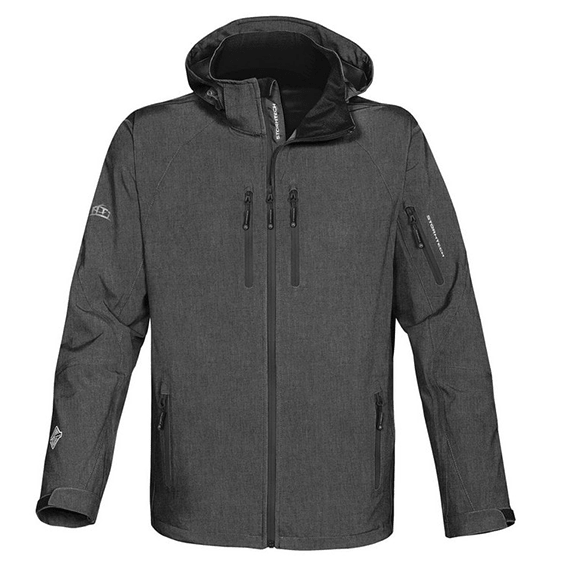 100% poly stretch shell bonded to textured grid fleece with a laminated film insert for wind and water resistance. 3 000MM fabric waterproof rating. 3 000G/M2 fabric breathability rating. Waterproof zippers. Articulated shaping for ease of movement. Reflective OGIO® Endurance heat transfer label for tag-free comfort. Zip-through collar. Reflective O heat transfer at back neck. Textured welding details at waterproof zippered chest pocket. Wind was the inspiration for this compact layer – and it packs down into a pocket, making it easy to carry wherever you go. Hood with drawcord and toggles for adjustability, contrast reverse coil zipper, underarm vents, elastic cuffs and an open hem. Made of 100% nylon. Packable zippered chest pocket, front unzippered pockets, and contrast Eddie Bauer® logo on right chest. Look no further for a jacket that performs, regardless of the weather. The protective mock neck, breathable half-zip, and adjustable cuffs offer both style and smarts. Crafted from lightweight, wind- and water-resistant, 100% polyester twill. Featuring reflective trim for added visibility in rough weather, on-seam zippered pockets, and an adjustable drawcord hem, these pieces offer practical performance. The machine-washable fabric and C&B pennant heat transfer at back neck complete the look. Made with 12 Oz., firm hand, 100% ring-spun cotton duck. Blanket lining in body, quilted-nylon lining in sleeves, corduroy-trimmed collar with under-collar snaps for optional hood. Left-chest pocket with zipper closure, inside pocket and 2 lower-front pockets. Snap-adjustable cuffs and waist, pleated bi-swing back enhances movement and triple-stitched main seams. Not all sizes are available in all colors. Available in Regular, Big and Tall sizes. Constructed of an abrasion and wind resistant shell with a fleece interior. Made from 306 g/m2 WindWall®, 100% polyester with DWR finish (solid), 316 g/m2 WindWall® 100% polyester with DWR finish (Heather). Highly wind resistant with wind permeability at less than 10 CFM (0 CFM is 100% windproof). Brushed micro gridded fleece interior with reverse coil center front zipper and hand pockets. Tonal embroidered The North Face® logo on left sleeve and right back shoulder. A versatile jacket that is built to be tough while maintaining visibility. Our bomber jacket is perfect for the job. M3 Softshell. This stretchy and breathable jacket is a terrific solution for a wide range of activities. The Lycra bound cuffs and hem fit comfortably while you’re on the move. The Lycra bound cuffs and hem fit comfortably while you’re on the move. The reflective logos and zipper tape stand out at night. 90% Polyester, 10% elastine, water-repellent and breathable. Zippered chest pocket with headphone port. Features zippered hand pockets, elastic bound cuffs, and elastic drawcord hem. 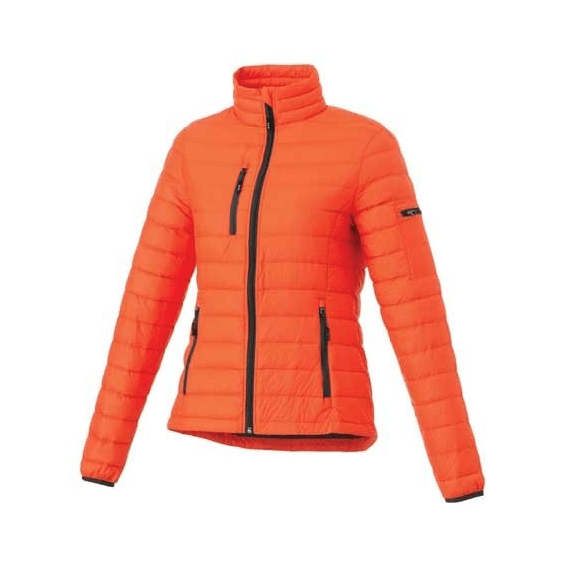 The Columbia Women’s Switchback™ III Jacket is made of 100% polyester plain weave. Features 100% polyester fine mesh lining, water resistant fabric, elastic cuffs, hand pockets. Designed with baffles contoured to fit your body, this streamlined jacket offers lightweight highly compressible ThermoBall™ powered by PrimaLoft® synthetic insulation. Made from 15 D 33 g/m2 100% nylon with DWR finish (solid), 11.5 g/ft2 PrimaLoft® ThermoBall™ synthetic insulation stows in left hand pocket. Contrast embroidered The North Face® logo on left chest and right back shoulder. DWR is applies to the face of the fabric to provide the first line of defense against wet weather. Constructed of 50% recycled polyester, this jacket promotes sustainability. Made from 285 g/m2 WindWall®, 50%/42%/8% recycled polyester/polyester/elastane double weave with DWR finish (solid), 285 g/m2 WindWall® 50%/45%/5% recycled polyester/polyester/elastane double weave with DWR finish (Heather). Features high density The North Face® logo heat transfer on the left sleeve and right back shoulder. Tonal WindWall® logo embroidered on left sleeve. Designed with baffles contoured to fit your body, this streamlined jacket offers lightweight highly compressible ThermoBall™ powered by PrimaLoft® synthetic insulation. Made from 15 D 33 g/m2 100% nylon with DWR finish (solid), 11.5 g/ft PrimaLoft® ThermoBall™ synthetic insulation stows in left hand pocket. Contrast embroidered The North Face® logo on left chest and right back shoulder. DWR is applies to the face of the fabric to provide the first line of defense against wet weather. Climbing, biking or hiking in cool weather isn t a problem in this durable, smooth-faced fleece hoodie crafted for warmth. 243 g/m2 100% Polyester Fleece. Smooth-Faced Fleece With A Brushed Interior For Comfort. Vislon Center Front Zipper. Concealed-Zip Right Chest Pocket With Welding Detail. Raglan Sleeves For Extra Mobility. Secure-Zip Hand Pockets. Contrast, High-Density The North Face Logo Heat Transfer On Left Sleeve. Minimum order: 48/$150.14. 144/$130.55. 288/$113.52. Features: STORMTECH 3-Layer H2XTREME® 15,000 / 15,000 Waterproof / Breathable Outer Shell; Sealed Seams; Waterproof Zippered Pockets with Garages; Articulated Sleeves; Internal Full-Length Stormflap; Chin Guard; Detachable Articulated Hood; Adjustable Drawcord at Hem; Pit Zips; Interior Media Port; Embroidery Access; 100% Polyester Bonded with 100% Polyester Single Jersey andWaterproof Membrane, 5.31oz. (USA) / 180g (CDN). Minimum order: 36/$129.37. 100/$125.00. 150/$120.77. 225/$116.68. 300/$112.74. New! Features: STORMTECH Showerproof D/W/R Outer Shell; Elasticized Hood, Cuffs and Hem; Reflective Tape; Chin Saver; Underarm Grommets; Reflective Zipper Tape; Zippered Pockets; 100% Polyester Pongee, 2.30oz. (USA) / 78g (CDN) with Mesh Lining. Features: Teflon® Wind / Water Repellent Polyester / Spandex Shell Bonded with Microfleece Backing; Mid-Length Jacket; Vertical Chest Zippered Pocket with Double Welt; Stand-Up Collar; Open Hem with Drawcord; On-Seam Side Zipper Pockets with Double Welt; Internal Full-Length Stormflap; 94% Polyester / 6% Spandex Bonded with 100% Polyester Microfleece and Waterproof Membrane, 9.44oz. (USA) / 320g (CDN). Minimum order: 36/$69.23. 101/$64.62. 200/$55.38. 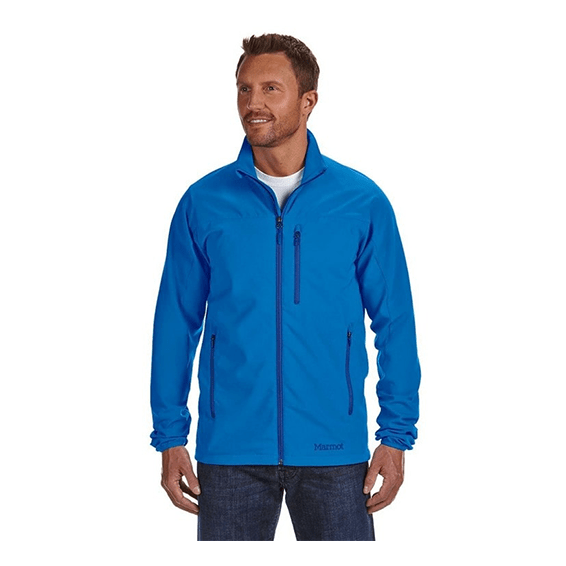 The Columbia Kruser Ridge™ Softshell Jacket is made of 100% polyester nexgen contour softshell. Features comfort stretch, wind and water resistant, zippered hand pockets, binding at cuffs, drawcord adjustable hem. Adjustable cuff tabs & drawcord adjustable hem. Features: STORMTECH Showerproof D/W/R Outer Shell; Center Front Zipper; Mesh Lining; Internal Media Pocket; Elasticized Cuffs; Adjustable Hem; Embroidery Access; Waterproof: 600mm; Breathability: 1,000g/m2; 100% Polyester, Dobby 2.51oz. (USA) / 85g (CDN). High density, stretch microfleece jacket with brushed back for enhanced comfort, featuring external contrast flatlock stitching, and a bicep pocket to stow your electronics. 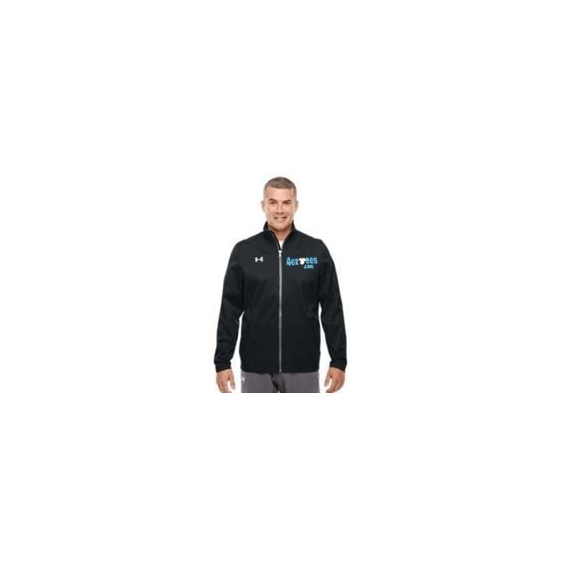 Features: Full Front Zipper; Stand-Up Collar; Contrast Flatlock Stitching; Zippered Pocket on Left Sleeve; Side Pockets with Invisible Zipper; Elastic Binding Finish on Collar, Cuffs and Hem; 97% Polyester, 3% Elastic Fleece, 7.67oz. (USA) / 260g (CDN). Features: STORMTECH Showerproof D/W/R Outer Shell; Reverse-Taped Center Front Zipper; Elasticized Cuffs; Adjustable Hem; Dropped Back; Zippered Pockets; Internal Pocket; Brushed Tricot Hand Warmer Pockets; Front Pockets with Zipper Garages; External Media Pocket; Embroidery Access; Waterproof: 600mm; Breathability: 1,000g/m2; 100% Polyester Dobby, 5.6oz. (USA) / 190g (CDN) with 100% Polyester Polyfill 4.13oz. (USA) / 140g (CDN). STORMTECH Showerproof D/W/R Outer Shell; Quilted Body with Ultra Soft Liner; Center Front Vislon Zipper with Contrast Zipper Teeth; Elasticized Cuffs; Attached Hood; Adjustable Hem; Brushed Tricot Hand Warmer Pockets; Zippered Pockets with Garages; Internal Full-Length Stormflap; Inside Pocket; Waterproof: 600mm; Breathability: 1,000g/m2; 100% Nylon Rip Stop with 100% Polyester Polyfill, 1.18oz. (USA) / 40g (CDN).